Click "Add Keywords", choose your rank tracking location, and you're off to the races. To start, click "Add Keywords". The location of this button will vary depending on whether you're working with a brand new campaign or an existing campaign. 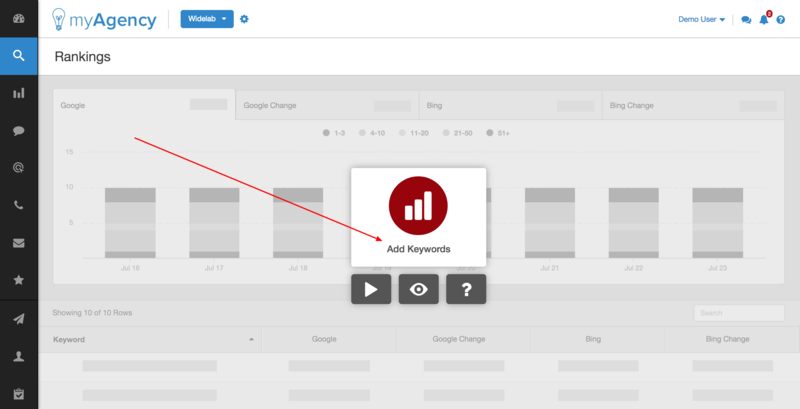 In a brand new campaign, you'll find the "Add Keywords" button in the center of the Rankings module screen. In an existing campaign, you'll find the button toward the upper left hand side of your Rankings module screen. The "Add Keywords" wizard will then open. In Step 1, type or paste in the list of keywords that you'd like to add, then click "Continue". In Step 2, choose the location(s) for which you'd like to track and emulate SERP rankings. Click "Continue" when you're finished choosing locations. 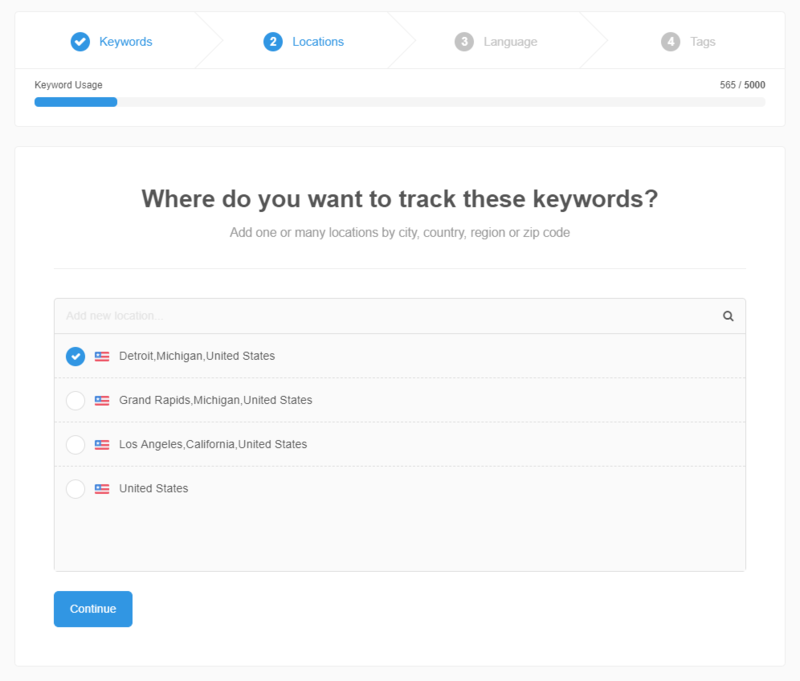 Note that each keyword/location pairing counts separately toward your account keyword limit. 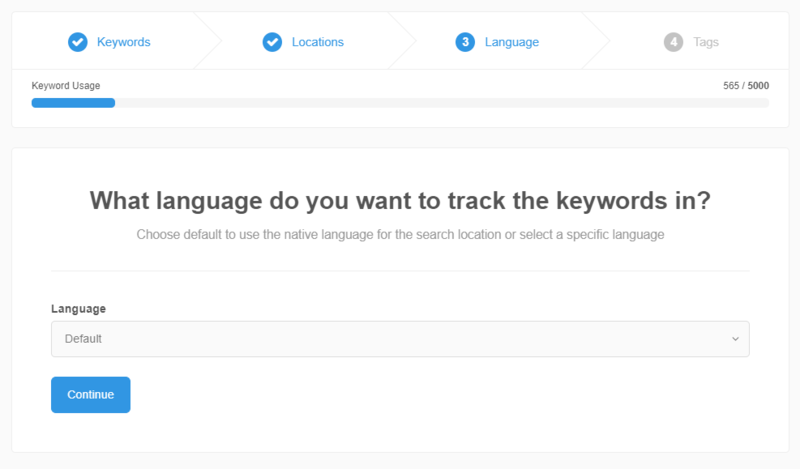 In Step 3, choose a language for your SERPs if applicable (Read more about language settings here), and click "Continue". 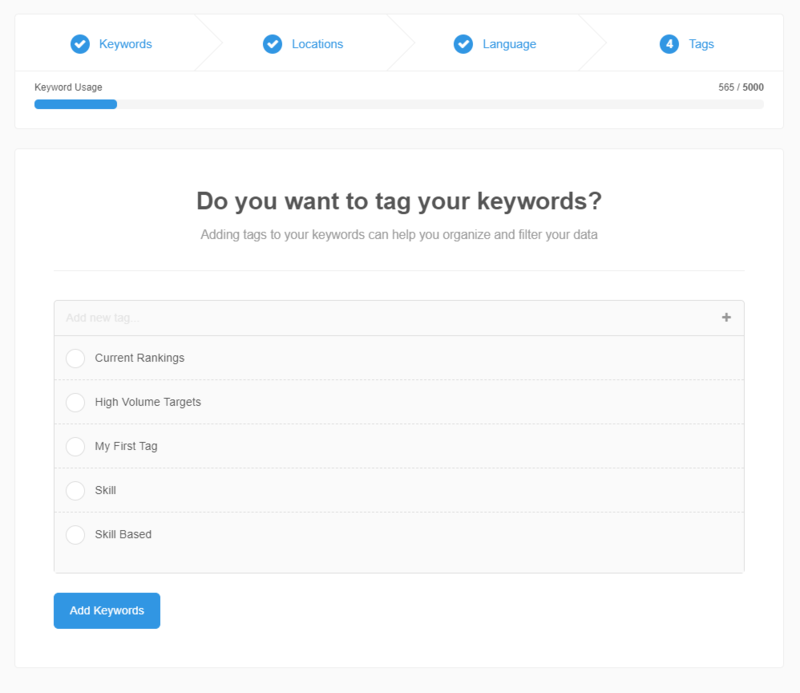 Finally, in Step 4, you can optionally add tags to these keywords. 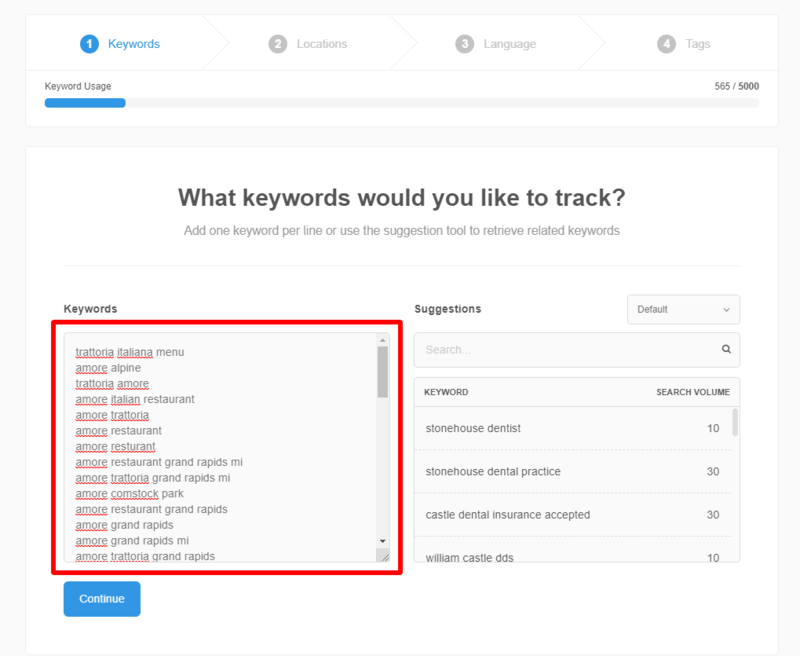 Once you click "Add Keywords", your keywords will be added instantly to your rankings table. You'll see a "clock" icon for each new keyword while the initial ranking is being fetched. The amount of time that it takes to complete this initial rank-fetch can vary based on the current site load, and on the number of keywords being added. Please allow up to 2 hours for the initial rank fetch if adding numerous keywords or adding keywords during peak hours. Here's how to track additional search engines, like Google Local and Google Mobile, and metrics like Results and Keyword Volume. 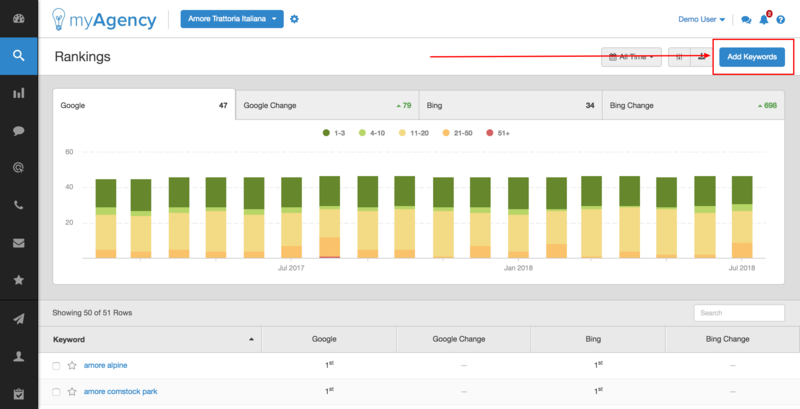 SERP tracking isn't an exact science, and results can vary dramatically depending on the settings configured in your account, and the methods used to check them. So what do you do when the results that we're reporting don't match up with what you expect to see? This article will point you in the right direction.